The core and largest component in Scrum framework is the development team. Development team converts the product backlog to a product increment on sprint by sprint basis. Many teams are more focused on quick delivery rather than quality delivery and as a result increases the technical debt without understanding the future impact on sprint works and product quality. Agile engineering practices can help to sort out the issue but teams are not practicing or following agile engineering practices as they are worried about the reduced deliveries and management support on decreased efficiencies. 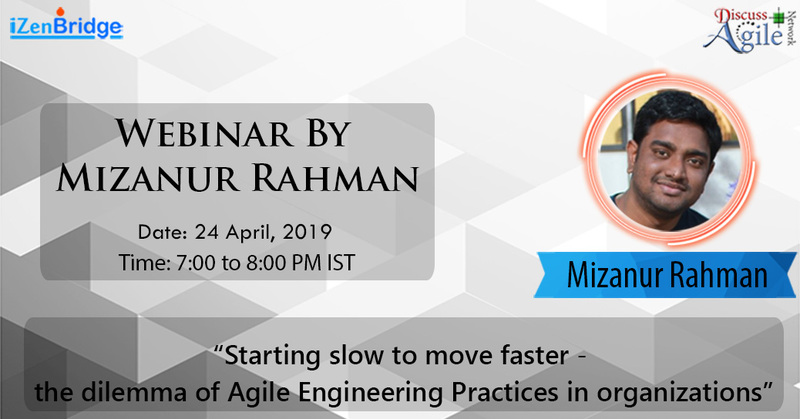 In this talk, i am going to focus on how its a good choice to start slow and pick up the pace as we move from sprint to sprint to ensure top quality work and reduced technical debt for the product with the help of agile engineering practices. It will also focus on organization point of view to accommodate and support teams for such practices.